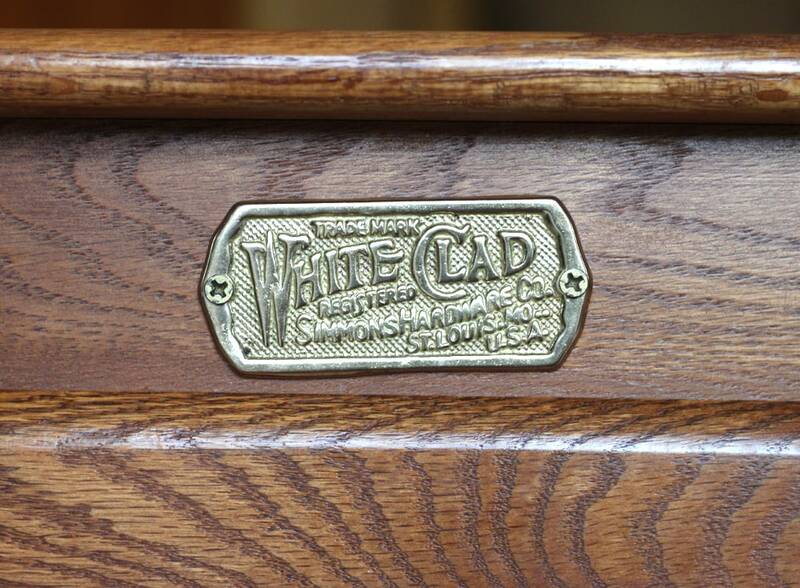 We all know someone with one of those White Clad end table thingys, right? No? Just me? Anyway, I guess White Clad used to make iceboxes and then it was all the rage to make reproductions to use as furniture. I see them in people’s houses a lot. My grandparents had like three in their garage. This one is from some time in the 80s (the 1980s that is), so I didn’t feel bad about giving it a new coat of paint to make it pretty. Here’s a nice “before” and “after” for ya. Lovely orangey oak finish, shiny brass hardware, and coffee rings on the top. Yep… didn’t feel bad at all about painting it. Seriously, the brassy finish was making my eyes hurt. Much better! 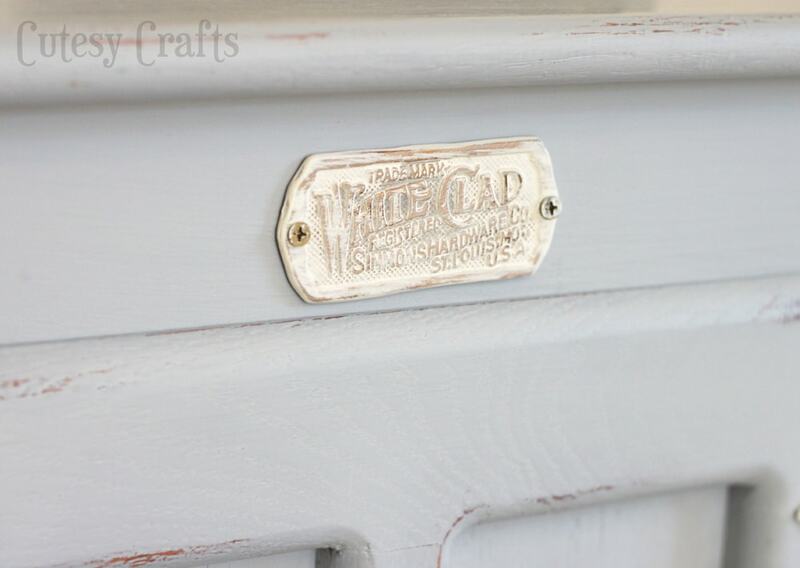 I used the leftover Americana Decor Chalky Finish paint from the buffet that I painted a few weeks ago. This little cabinet only took half a container. To minimize brush strokes, I found it helpful to dip my paint brush in a little bit of water. I had to do more coats that way, but the result was a very smooth finish. And, of course, I distressed it a little on the edges and then waxed it. I didn’t feel like painting the cheap “wood” that was on the inside, so, just like the buffet, I lined parts of it with pretty contact paper. 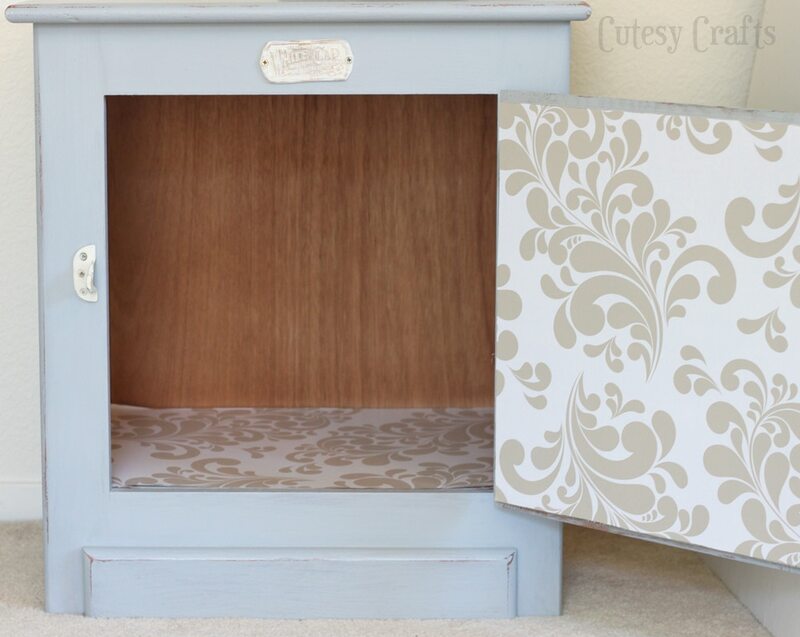 I just love that a little bit of paint can turn something unwanted into something beautiful! 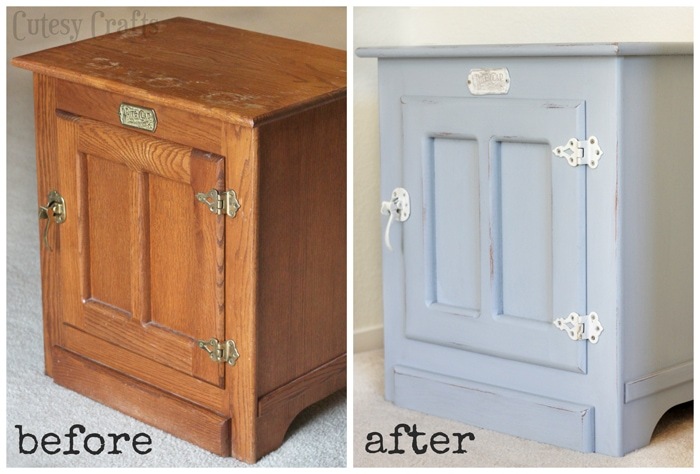 Girl, you are becoming a furniture refinishing QUEEN! 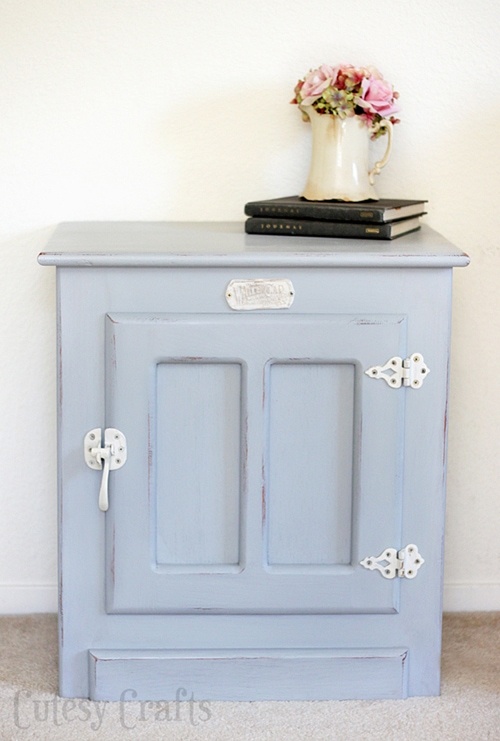 This is simply gorgeous and EXACTLY the color palette I’m going to be using on my roll-top desk so I’m mega-inspired. 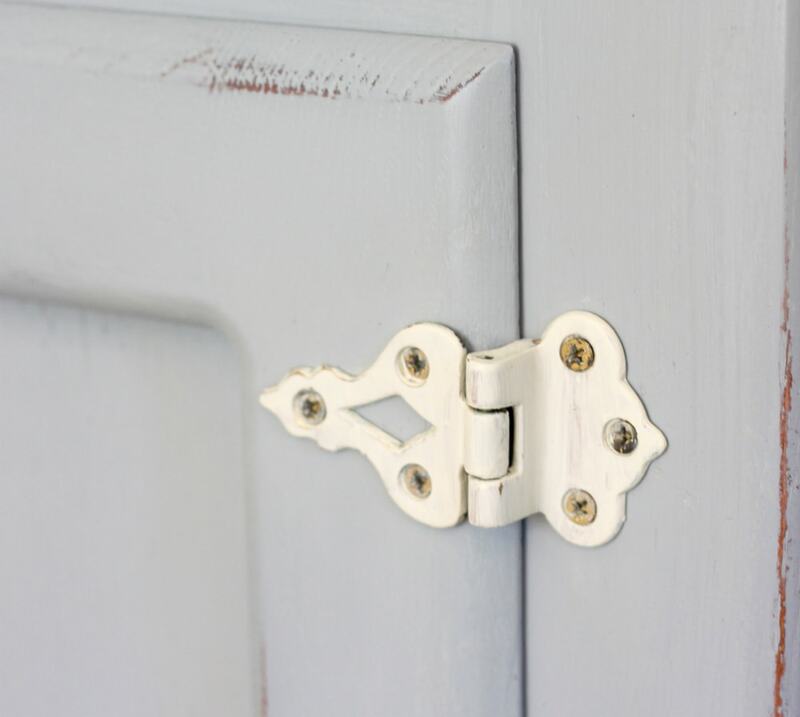 I love how the new paint really accentuates the beauty of the design and the hardware. Such an improvement! LOVE. I seriously need to get an end table and you’ve just inspired me even more. 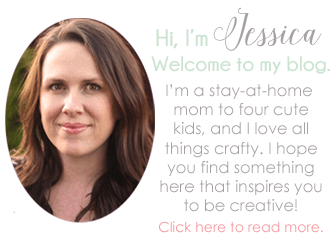 Love the makeover Jess! Thanks, Britni! It was so easy to do! Love it! The paper on the inside is so pretty! Yay! So glad you found some inspiration for your table! 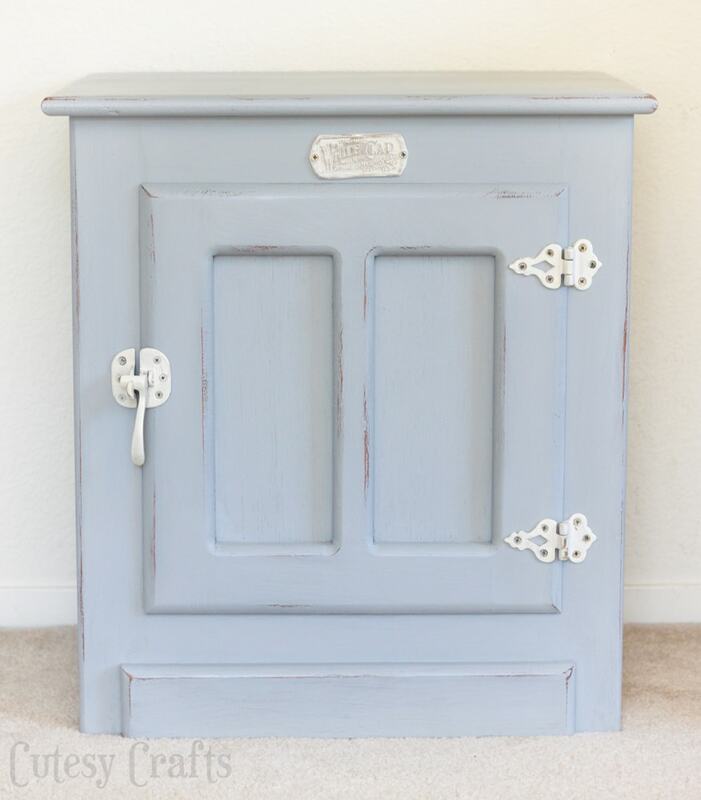 I always see them in people’s houses, and I was so excited to see how much better it looked painted. did you have to sand it first too? Not with this kind of paint. There is no sanding required. If you have any old paint peeling off or scratches, I would probably sand that first though.